I had a friend I know write me that wants to do a Founder. She lives far from me and wants to make sure she does it correctly. First, I am glad she is reading my articles about FOUNDATION TRAINING and wants to give it a try. For anyone else out there in internet space interested in FT… technique is crucial. So please, click on this link to go straight to the FT site. You can find a FT instructor, see a video, hear testimonials, or order the book/DVD. The DVD’s are excellent! You will learn how to do FT plus get short workouts using the FT exercises. http://www.shareasale.com/r.cfm?B=619242&U=971056&M=51964&urllink= I did write my friend back and explain some things to her, but it’s difficult when I can not see her and how she moves. As I learn from teaching others about Foundation Training…so many people have back problems, but it’s some other area causing the back pain. 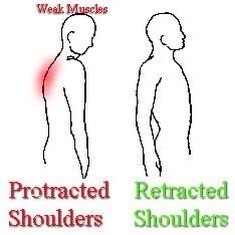 I see more and more problems in the shoulder blade and trapezius areas…tightness and weakness. You can not stand up straight with your shoulders slumped over! If you are starting to see the hump developing in your mid back you need FT. If you can barely raise your arms over your head you need FT. If your shoulders, traps or lats are your weak link you are headed for pain issues. Remember, Foundation Training is posterior chain training. FT works the whole chain as a unit…FT wants the feet! calves, hamstrings, glutes, core, low back,mid back, traps, shoulder, neck, brain…to all work together! This is what sets Foundation Training apart!!!! If there is a weak link…FT will find it and fix it. If you don’t address these issues…they will become more chronic, more painful, those overworked muscles that are helping the weak muscles will become more imbalanced and stressed. I have been there myself in debilitating pain with my pelvis jacked over to one side and still having to go to work and make it thru the day! I can not do it for you…but I can sure help you. Have a great day…because you can! 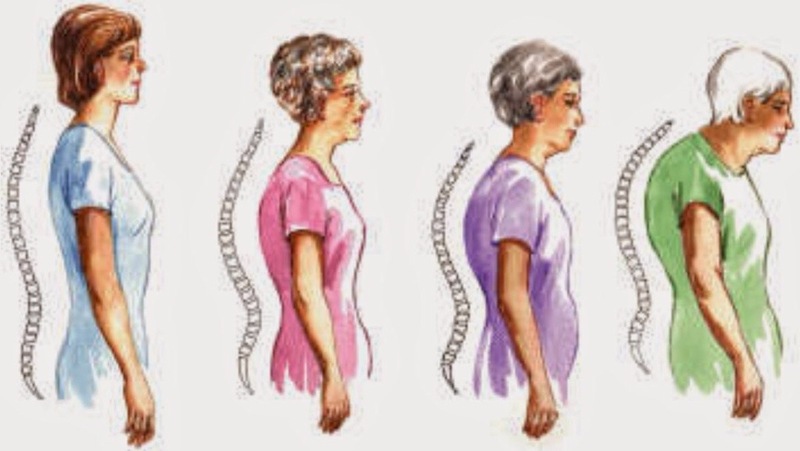 This entry was posted in Foundation Training and tagged back pain, chroic back pain, Foundation Training, humpback, muscle imbalance, pain management, posture, rounded shoulders. Bookmark the permalink.